Multiple industry sources are confirming to DSC that Motorsport Network are set to close their Motorsport TV channel in two week’s time. Permanent staff members are understood to have been informed that their employment is to be terminated whilst contracted staff have been receiving letters over the past 24 hours confirming that they too will no longer be employed by the network. There has, as yet been no announcement from Motorsport Network. 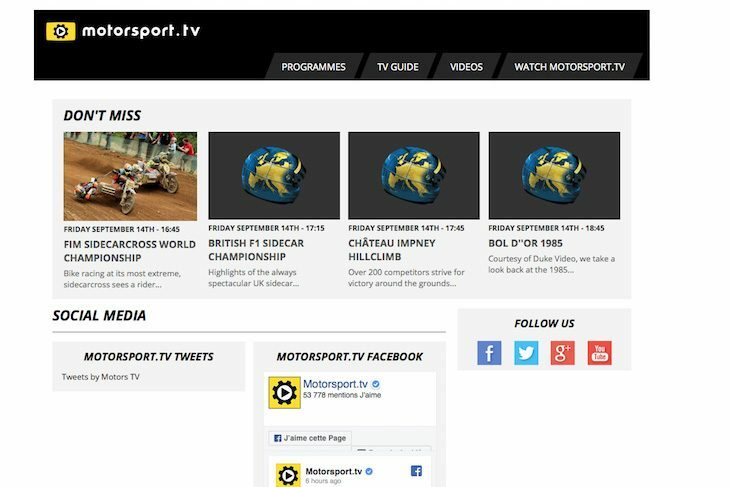 The channel is to cease ‘Linear Broadcasting’ (effectively all programming via a dedicated broadcast channel) at the end of September with one insider confirming to DSC that this will apply across all global outlets, and that whilst the company intends to continue online streaming this looks set to only a direct feed from race or Championship ‘house’ feeds with no additional in-house production from Motorsport network. The broadcaster has been plagued by a stream of issues since Motors TV was acquired by Motorsport Network in late 2016 with reports of commercial and organisational issues causing late payments to contractors, and with the channel dropping off the SKY platform as commercial disputes were resolved. On the technical side promised HD programming failed to appear. Several long standing broadcast contracts also fell victim to the changes made by the new owners. At present the channel broadcasts a range of Championships and Series including the FIA WEC, ELMS, and Blancpain GT Series, all of whom are set to lose their TV home in several markets, though other online options exist for many. Further reports also suggest that Motorsport Network is in the midst of a major senior management shake-up as CEO Colin Smith has also stepped down. Ex F1 commentator James Allen, previously President of operations in Europe, the Middle East and Africa has taken over as President of Motorsport Network with immediate effect. DSC is also aware that at least one other senior staff member has departed the business in recent days. “Our customers are changing the way they consume content and as a global media business and the number one motorsport destination, our role is to deliver an unparalleled customer experience. “Our audience is shifting towards digital channels, and through 2018 we’ve seen an average 40% growth month-over-month in consumption of video across our online channels. “In order to serve our committed global audience, we will be adapting our business to meet consumer needs and that is why from Sept 30th we will transition Motorsport.tv to an online and on demand model; moving away from our linear TV channel.